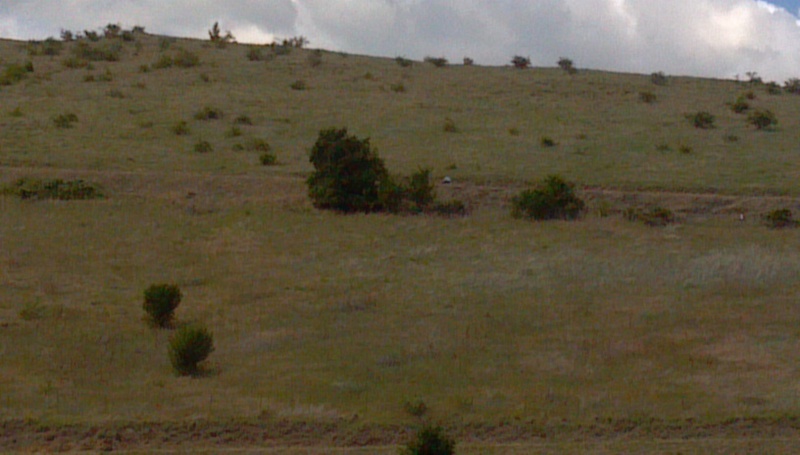 June 23rd, 2012: Some hill! This was an 11 mile climb – steep in spite of the 11 switchbacks – and hot!!! Skip is that little dot on the road between the 2 clumps of bushes, way ahead of me as usual, except when he knows I need moral support mostly due to trucks!